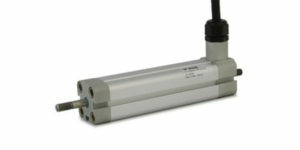 The Kinitics KLA Linear Actuator and KPP Piston Pump use shape memory alloys and proprietary Bundled Wire technology to deliver high force/pressure and precision in a small package. 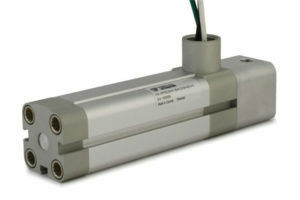 The Kinitics Linear Actuator can be easily configured to supply a pushing or pulling force, while the Kinitics Piston Pump can act as a master cylinder or a reciprocating piston pump. Using the Kinitics Controller, the Kinitics shape memory alloy actuator products can be used in anything from the simplest to the most elaborate of control strategies. The Kinitics Controller interfaces with a standard PLC using discrete I/O and an analog 4-20 mA input for complex control using a number of possible feedback strategies. The Kinitics Automation Linear Actuator, Piston Pump and Controller products will be on display at Hannover Messe USA / IMTS 2018. Also on display and in use will be the Kinitics Automation KLA05 Demonstration Kit, which includes all the components necessary to experience the benefits of Kinitics technology: a KLA05 Linear Actuator, KCA020 Controller, connection harness, switch housing and various accessories. Kinitics Automation will also be conducting demonstrations of its Bundled Wire technology during the show using the company’s Linear Actuator Test Stand. The Test Stand consists of a KLA05 actuator repetitively lifting 725 N (160 lb.). The setup will run through various testing regimens including simple, repetitive lifts at short time intervals for reliability testing, and more elaborate functions using complex control via an industry-standard PLC that is part of the unit. Please visit www.kiniticsautomation.com for more details.